On December 4th, 2017 the Thomas Fire Event burned through the Upper Ojai Valley and seriously impacted our home with fire damage. We evacuated on Monday night, and returned back to our property the following Wednesday afternoon to survey the damage. What saved our house was our pool, which was utilized by the fire department to put out burning structures and foliage on our property. Our pool saved our place, but was severely impacted by smoke, ash, and wind debris which turned the water into a black sludge. R2 Water Technology in Santa Barbara was recommended to us, so we contacted JP to come and survey the clean-up process and give us his advice. He was extremely prompt, and very professional, and within a few days he had an estimate to us for the restoration project. 1) Remove all debris and contaminants from the pool with a diatomaceous earth filter trailer. 2) Chemical treatment of water. 3) Remove all fine particulates from water with reverse osmosis filter trailer. 4) Repair/replace old or damaged equipment. After the chemical treatment of the pool water the Thomas Flood Event happened in Montecito, which severely hampered the logistics for R2 Water Technology to get to our place in Upper Ojai. JP stayed in communication with us through that event, and once the 101 Freeway was opened he was back down at our property to continue the restoration project, which was completed January 31st. This was a major endeavor with extreme logistical complications due to the occurrence of multiple natural disasters. I congratulate the team at R2 Water Technology for staying on top of the project and doing an excellent job restoring my pool to like new status – the water has not looked this good for a really long time! I highly recommend JP and the team at R2 Water Technology for any pool project, big or small. My pool was out of control and none of the chemicals were working. I was told I needed to drain the pool, but with the drought that was out of the question. I am so happy I called R2 Water Technology and working with them was a very pleasant experience. I congratulate the team at R2 Water Technology for staying on top of the project and doing an excellent job restoring my pool to like new status – the water has not looked this good for a really long time! 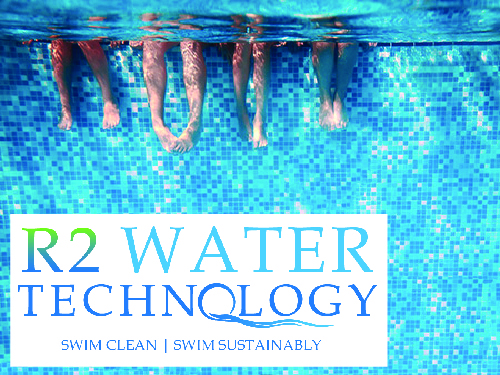 I highly recommend JP and the team at R2 Water Technology for any pool project, big or small.